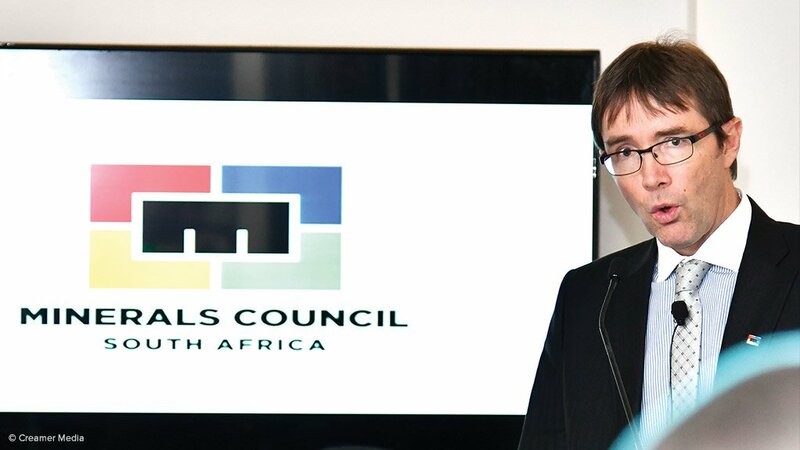 Minerals Council CEO Roger Baxter today told delegates at the Joburg Indaba that while the South African mining industry is dealing with possibly one of the harshest environments that it has experienced in many decades, the industry is also beginning to see the first rays of a new dawn. Delivering the keynote address, Baxter noted the difference a year had made to the industry. “It was only in February, with President Ramaphosa’s election, that storm clouds started to dissipate and that South Africans could again start to look forward to the future that they had been promised. As part of that process, we were fortunate, as an industry, to welcome the appointment of Minister Mantashe. And, in the few short months since his appointment he has brought about rapid change in the department and the industry, and at the same time moved to instil a degree of certainty, greater engagement and openness,” Baxter said. In addition to the publication of the Mining Charter, Mantashe has called for the scraping of the Bill drafted to amend the MPRDA and has started discussions with the industry on growth and competitiveness constraints leading up to the investment summit in November. This includes a commitment to discussions with the Minerals Council’s commodity leadership forums. Along with policy certainty, the development of a competitive strategy for mining is crucial to encourage investment in the industry. Baxter reiterated that South Africa’s mining investment could almost double in four years if South Africa was to return to the top quartile of the most attractive mining investment destinations. This could create another 200,000 jobs in the economy with 50,000 direct jobs created in mining alone; increase output, exports and procurement substantially; grow direct and indirect taxes, and royalties paid to the fiscus. The mining industry would also be in a better position to increase its contribution towards infrastructure development and social projects in mining-affected communities. “It remains a truism that if mining succeeds, the country succeeds,” said Baxter.